21:42 IST: An unlucky run-out saw the tame end of ABD’s heroics (75). In the end, RCB manage 171 for 7 in 20 overs as wickets tumble courtesy Malinga (4 for 31). Now, this is a good score surely but not a threatening total to challenge Mumbai Indians (MI) who chase well at the Wankhede Stadium. Nonetheless, a determined RCB may stop them in the second half. You never know. Right? Join us in a bit. MI vs RCB IPL Live Score- RCB 171/7 after 20 overs. 21:23 IST: Bumrah keeps the run-flow down to only 8 runs but MI need to get rid of the two quickly. Only a wicket can derail RCB’s progress to some extent. This stand has changed the complexion of the innings. MI vs RCB IPL Live Score- RCB 144/2 after 17 overs. 21:16 IST: A big over this from RCB’s point of view. Moeen Ali has just thrashed Jason Behendroff in all corners like he is some part-timer. No respite for the Australian, who has been a part of Aussies’ World Cup squad, and he leaks 17 in the over. Momentum with RCB by all means. 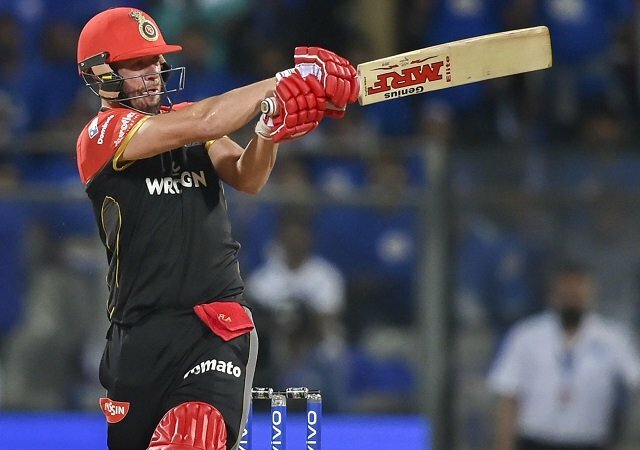 IPL Live Score- RCB 136/2 after 16 overs.